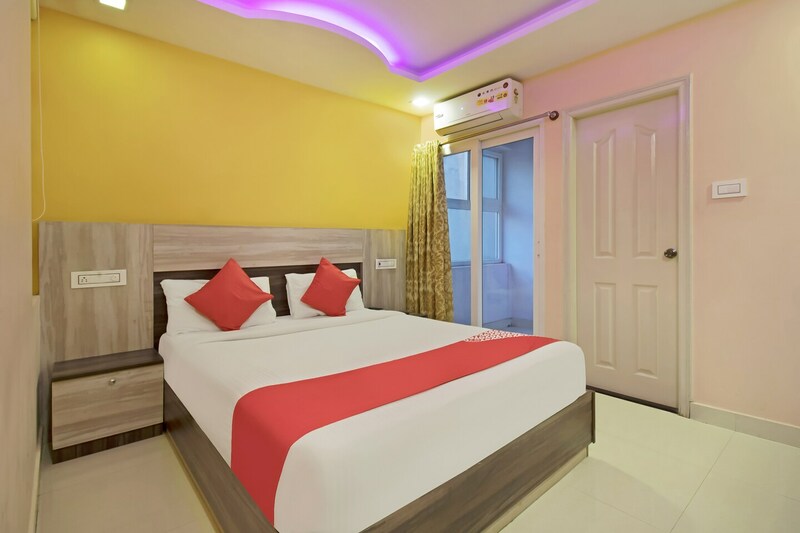 OYO 9058 Neema Residency is a modern and chic hotel which promises to give guests a comfortable and a memorable stay. The rooms are elegant, warm and bright with basic furnishings provided for the convenience of the guests. The walls are decorated with textures with colourful lights adorning the ceiling making the room look more vibrant. The guests can also relax and unwind at the in-house restaurant in the hotel. The CCTV cameras installed at the property ensure security for the guests. Some other amenities provided by the hotel include elevator, laundry service and free Wi-Fi.